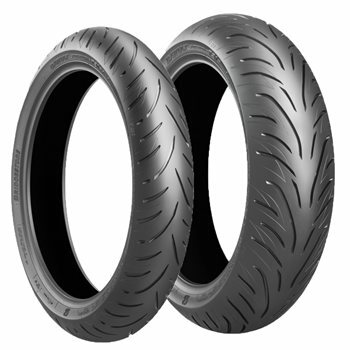 Bridgestone has developed a new front-tyre compound for T31 with higher rubber flexibility. This enhances the bite “feel” in the wet, giving riders more confidence in tricky conditions. Providing higher camber thrust due to a bigger contact patch in all lean angles is bringing the fun factor on Sport Touring bikes to a new level as dry handling improved as well next to the bigger steps in the wet conditions.